HERMAN REKITTKE was born in Waite Hill Village, Ohio in a house provided for farm hands. When he was nine years old, an aunt gave him an old metal clarinet. While in high school he was accepted as a member of the local VFW Military Concert and Marching Band. 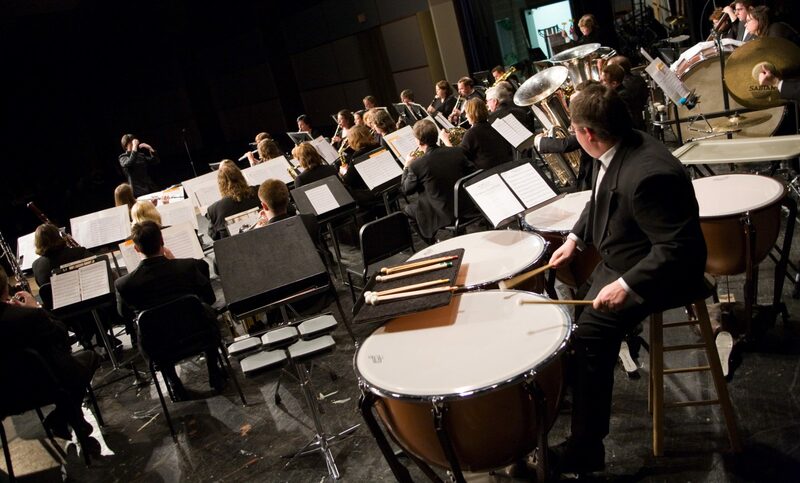 The band received numerous state and national honors, including National Championships in Dallas, Chicago, and Atlantic City. Mr. Rekittke attended Northeast Missouri State Teachers College in Kirksville, Missouri (now Truman State) and received a Bachelor of Science in Education degree. After two years of teaching instrumental and vocal music in Gallatin, Missouri’s elementary, junior high, and high schools, he entered graduate school at Central Missouri State University and received a Master of Arts in Music Performance degree. Mr. Rekittke taught strings and band for a year in North Kansas City, Missouri, then left and became the Associate Director of the Park Hill band program working with Mr. William G. Mack. While at Park Hill, his junior high band performed at the SW Division MENC Conference and Clinic and his high school band performed at the Missouri Music Educators Association Conference and Clinic. During his tenure in Park Hill, Mr. Rekittke was elected Band Vice President of MMEA and President of the Missouri Bandmasters Association. Mr. Rekittke also taught for 12 years in Lee’s Summit, working with Mr. Jim Oliver. He retired after a 30-year career of teaching in Missouri and worked for a year as a car salesman and music store “roadie.” Mr. Rekittke then returned to teaching at Olathe North High School, working with Ms. Janelle Brower. After five fun and rewarding years in Olathe, Mr. Rekittke tried retirement again, but it was not to be. The position of Woodwind Specialist for the Kansas City, Kansas School District became a fortuitous and enjoyable career finale.